Another big holiday has passed, and we hope yours was bright and merry. The tinsel, wrapping paper, tree-lights, boxes, carolers and guests are gone, and you’re now digging in for the long cold. Subzero winter temperatures can stress boilers and burst frozen pipes in any commercial building. Steam or water leaks, drips and power losses can also disrupt business or result in costly repairs, downtime and occupant discomfort. No one is happier than those doing emergency repair when your boiler takes a dive. Pilot lights that keep going out can be a sign of buildup or corrosion. Lime deposits can restrict water flow to heat exchangers. Excess internal boiler pressure during operation might cause that expensive machine to explode or rupture. 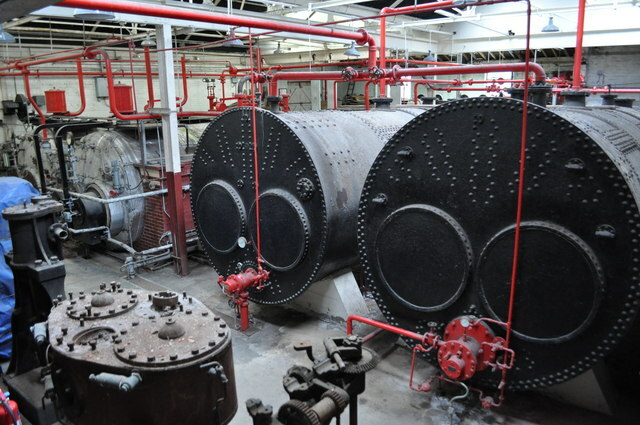 Commercial boilers commonly burn fossil fuels that produce toxic emissions, so clear ventilation, exhausts and efficient combustion must be maintained. Boilers are huge sources of stored energy, which makes safety and regular maintenance a major concern. Don’t let your boilers crash this season or the next, and save time and resources at the same time. Monitor and maintain boiler performance to prevent expensive downtime and repairs using best-in-class, low-cost remote monitoring boiler solutions from Monnit. Monnit is a global leader in the design and manufacture of self-installing, low cost wireless sensor solutions for commercial, industrial and consumer markets. Monnit’s sensing solutions are easily installed and used by anyone wanting to remotely monitor access to operational system temperature, vibration, or the presence of water and light in a variety of environments. Whether it’s cold offices, frozen pipes or ducts, water damage, product quality, property management, HVAC systems or warehouse peace of mind you’re after, Monnit remote wireless monitoring solutions have an answer. 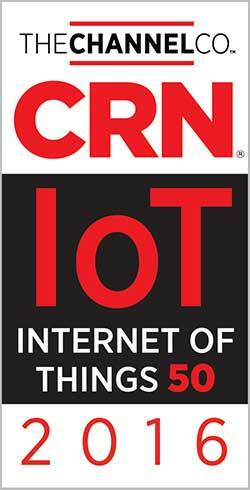 For the second consecutive year, Monnit has been recognized by CRN magazine, as a Top 50 IoT Solutions Provider alongside IT leaders such as Cisco, Dell, Intel and Samsung. Monnit is the world’s best remote monitoring solution allowing users to track and monitor potential issues before they become costly problems in food service, property and asset management, pharmacy or labs to name just a few of its applications. Preparing for the winter months, homeowners seal drafty windows, check the plumbing and get boilers serviced. It’s no different for business, but such things are often overlooked. In celebration of the 2016 Yuletide season, Monnit offers a wireless monitoring solution for each of the Twelve Days of Christmas. Monnit remote wireless sensors provide temperature change alerts before the cold has a chance to freeze your pipes. When winter storms prevent your employees from getting to work, or your engineers can’t be everywhere at once, Monnit remote wireless solutions can be on location when you or your staff can’t be. Monnit remote monitoring sensors help you avoid costly water damage in sensitive areas. Winter weather can make life slippery, which is why Monnit sensors maintain safely-lit paths, walkways and parking lots to help prevent expensive and time-consuming litigation. Monnit motion activated sensors help to ensure your premises remain trespasser free. Knowing what’s happening at your business when you’re not there provides management insights and a great deal of peace of mind. Temperature, voltage, and climate monitoring are vitally important to preserving the value of your perishable assets. Keep an “eye” on your vacant properties during winter months, with Monnit remote wireless sensors anytime, from anywhere. Sensor alerts can reduce spoilage from uncontrolled variations in warehouse temperature. Boilers can breakdown during winter after long periods of non-use, but Monnit wireless sensors can detect a faulty thermostat or clogged valve before the boiler fails. 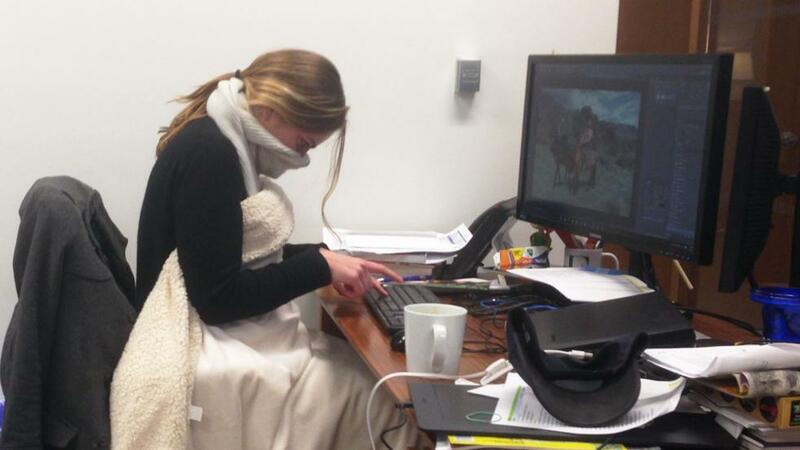 Animals feel winter cold, especially when the heating and air systems aren’t working or monitored with care. Monnit system ease-of-use and painless installation will help lower your costs to maintain and manage commercial properties. Freezing winters add risks to businesses that include ice, snow and temperature hazards responsible for a wide variety of property damage, employee injury and slowed productivity. This makes loss prevention crucial to maintaining a successful and profitable business. It doesn’t matter where you are, or what time it is, Monnit’s low-cost wireless sensors and monitoring solutions will connect you to your business from anywhere, anytime. Please visit www.monnit.com for more news, global product updates, and best-in-class support. SALT LAKE CITY, UTAH – December 7, 2016 – Monnit Corporation (www.monnit.com) today announced that CRN has named the wireless sensors company to its 2016 Internet of Things 50 list, which recognizes organizations whose innovative offerings are helping connect objects, computing devices, infrastructure, data storage and data analytics to transform and improve the way we work and live. Monnit was the only Utah-based company to be recognized in the “20 Coolest IoT Hardware Vendors” category, which consists of many Monnit partners and other technology leaders such as Cisco, Dell, Intel and Samsung. CRN, a brand of The Channel Company, recognized Monnit for its breadth of IoT wireless sensors, gateways and control devices. Monnit currently provides more than 50 unique sensor types for commercial and industrial applications as part of a complete, remote monitoring solution, which features online monitoring software and real-time alerts via SMS text, email or phone call when a user-defined condition is detected. The magazine also recognized Monnit for its business partner program, which allows OEM’s, systems integrators, independent software vendors and resellers to sell Monnit-branded products or private-brand the solutions as their own. Lineage Logistics uses Monnit Corporation’s IoT temperature and vibration sensors to cut energy costs and protect billions of pounds in warehoused food. Food safety is a priority if you warehouse and ship billions of pounds of food destined for Walmart, Costco and local grocery stores in the U.S. Product must be protected in the most energy-efficient way. This is a daily challenge for San Francisco food processing, warehousing and distribution company, Lineage Logistics, a Top 2 North America temperature-controlled warehousing company with more than 518 million cubic feet of freezer and cooler capacity, serving roughly 20 to 25 percent of the U.S. third-party cold food chain. Due to the size of their refrigerated warehouses, Lineage was seeing temperature gradients from one side of the warehouse to the other. Doors opening and thermal load from rooftops can cause temperatures to vary outside ooptimal range in some areas of the warehouse. Rather than lowering the temperature of the entire warehouse to account for warm spots, they use Monnit’s wireless temperature sensors to create a heat map of the warehouse and adjust airflow to address the warmer areas without needing to over cool the entire building, providing significant cost savings. Lineage is also using Monnit vibration sensors to monitor refrigeration compressors, helping them predict issues and avoid high repair costs and compressor breakdowns. Monnit sensors can also prevent another common refrigeration problem called “liquid hammer,” a pressure spike caused when fluid in the refrigeration pipes is forced to stop or change direction suddenly. Lineage currently uses approximately 1,500 AA battery-powered wireless sensors from Monnit across a few of its facilities, and they look to expand that into many more buildings in the near future. Click here to read the full article on Network World’s website.